The raised panelBELLINI MASTERCRAFT double doors are fitted with a Rosette where the panels meet in the center. 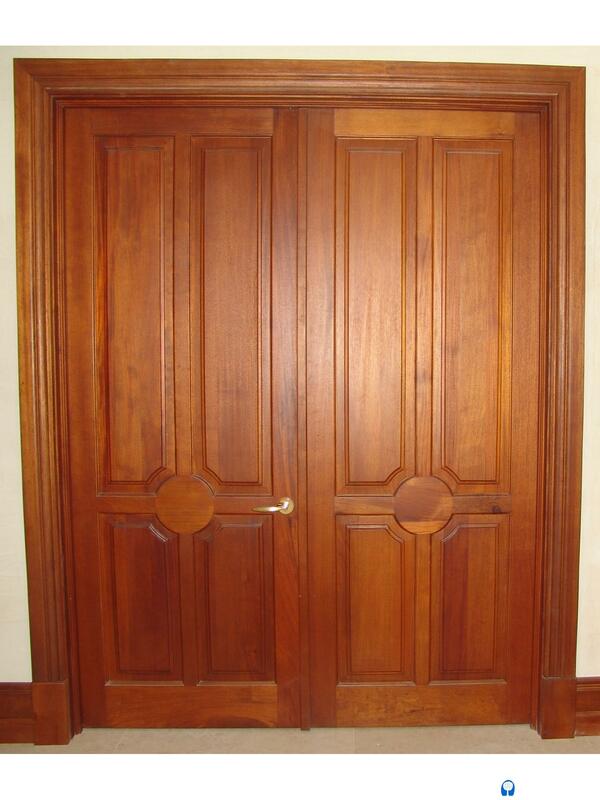 The doors are enhance with a Colonial 4" casing and plinth blocks. Utilizing select grade Genuine Honduras Mahogany procured from responsibly controlled forests, the interior doors are manufactured with superior craftsmanship and excellence in architectural construction.